Earlier this year, The Rhema Foundation Canada travelled halfway around the word to Kampala, Uganda, to better understand the state of the country’s healthcare system and how its shortcomings affect the lives of everyday people. As the team discovered, many of these shortcomings are not unique to Uganda alone. As a result, the team initiated a similar trip to the Caribbean to assess the state of Jamaica’s healthcare system. On October 10th, 2017, the Foundation’s Chairman and Executive Director set off with the CEO of Rhema Canada on a medical humanitarian trip to Kingston, Jamaica. Much like the expedition to Kampala, the trip was a discovery visit aimed at improving Jamaica’s healthcare system. To do so, the team adopted a standard three-pronged approach of Assessment, Partnership, and Investment. Additionally, the team also took into consideration Jamaica’s 10-year strategic plan to improve healthcare across the country. Specifically, the plan targets the rising rates of chronic illnesses such as heart disease, cancer, diabetes and obesity. To explore how Jamaica is tackling these systemic issues, the team set out to visit five different clinics in Kingston. The team focused its efforts on Kingston, as it is one of only two cities in Jamaica that has the facilities to provide emergency medical care. Across the rest of the country there are about three dozen public hospitals and clinics. While access to these facilities is free to residents, care is frequently unreliable. In part, the unpredictable quality of care is intensified by the violent crime that plagues the country. This situation has created an extreme shortage in qualified medical professionals, as many emigrate in search of better prospects elsewhere. However, a shortage of staff is not the only strain on the country’s fragile healthcare system. Indeed, an outdated infrastructure and a lack of federal funds for regular maintenance are also pressing concerns. As the team noted at each of the five clinics visited, broken equipment and dated technology is the norm. At most clinics, medical supplies are also scarce and empty shelves are a frequent sight. The team thus put together a long list of needed items, including everything from digital X-ray machines, to wheelchairs. To provide short-term relief, the team delivered more than 300 lbs. of medical supplies and medicines to clinics across Kingston. A significant portion of these supplies and medicines were provided by Health Partners International, which donated medical kits, dental kits, and mother and child kits. Additionally, Merck Canada also sponsored all of the medical, dental, and mother and child kits at a value of $15,000. 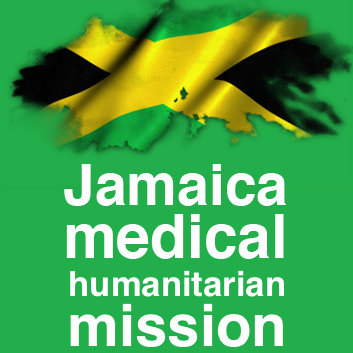 Finally, after seven days on the ground, the team concluded that its support could be of value in three key areas: the procurement of medical supplies and medicines, a long-term partnership with the Minister of Health in Jamaica, and ongoing research assessing shifting healthcare needs. It is by tackling these specific goals that The Rhema Foundation Canada aims to support Jamaica’s healthcare system and bring new light to an island that is known for its sunshine and natural beauty.